Tragic traffic accidents are some of the most common causes of premature death in the United States. After the sudden death of a beloved family member, it’s only natural to take some time to mourn and come to terms with such a catastrophic loss. However, once some time has passed, your family may wish to pursue a wrongful death claim for the loss of your loved one. Under the Texas Wrongful Death Act, the surviving spouse, children, and parents of the deceased can pursue compensation for the loss of their loved one due to another driver’s negligence. When coping with this sudden and devastating loss, you may be eager just to sign the insurance company's paperwork so you and your family can move on. Unfortunately, a quick settlement is just what the insurance company wants, since it limits their liability for your loved one’s death. Don’t talk with the insurance company or sign any documents until you’ve consulted an attorney regarding your wrongful death claim. Financial losses. These include the deceased’s medical bills, funeral and burial expenses, and the loss of financial support resulting from his or her passing. Loss of inheritance. This refers to assets the deceased would have accumulated as part of the estate if not for the wrongful death. Mental anguish. This is defined as the emotional pain and suffering stemming from the death of a family member. 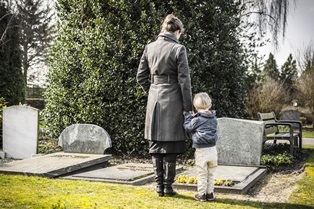 When you’re coping with the loss of a loved one, you need representation by a compassionate yet assertive wrongful death attorney to ensure you're not taken advantage of by an insurance company. You should consult an attorney right away, since Texas imposes a two-year statute of limitations on wrongful death claims. To learn more, contact the law offices of Steve M. Lee, P.C., by clicking the Live Chat button on this page.